i’m a gal who loves a good winter accessory. i have an entire dresser drawer dedicated to hats, scarves, and gloves. i probably own around 15 scarves, maybe as many hats, and at least 4 pairs of gloves (and counting). what can i say? i grew up in the northeast. i went to school in upstate new york. i then moved to new york city, a place that is, deceptively, much colder than you think it’ll be. something about all those tall buildings creates a serious wind tunnel syndrome, and let me tell you, it can be positively FRIGID here come december and january. that kind of cold means you layer with all you’ve got. it means hats are absolutely essential (they keep the heat in, folks). 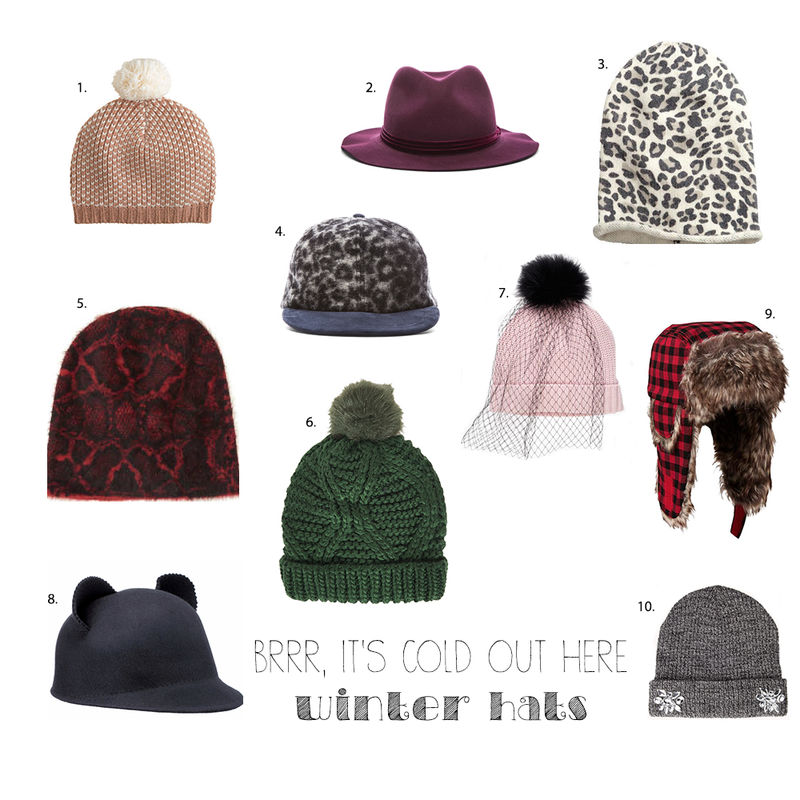 in other words, if you don’t have a great winter hat, it’s time to go out and buy one. maybe even one of the ten above? *ps: there are many in this city (and probably in your city, too) who go without the cold weather gear they need to get through the winter. if you’re anything like me, you’ve got extra clothing you don’t wear. please consider donating to your local coat drive, or find a shelter in your area that’s accepting donations for hats, scarves, and gloves. new yorkers, you can find information about the new york cares coat drive here.